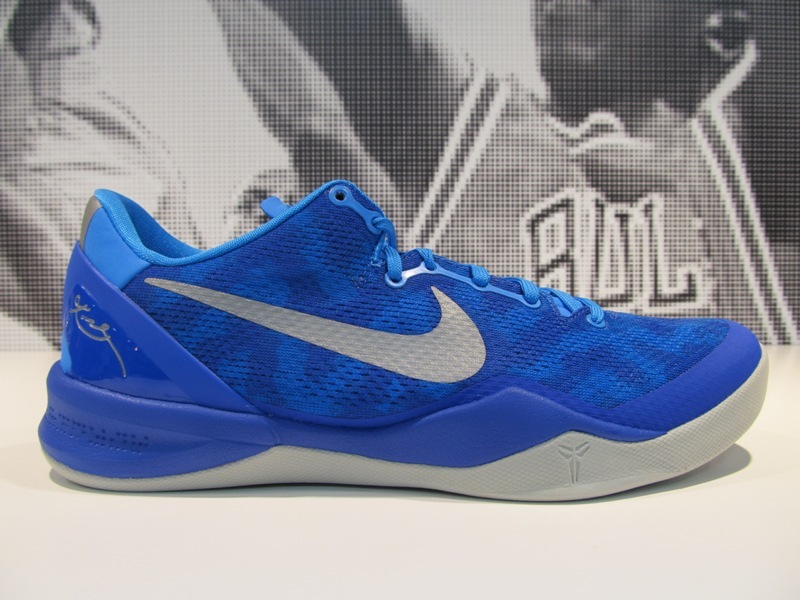 A never before seen "Blue Camo" Kobe 8 is introduced by Nike Basketball. The previously unseen Kobe 8 puts to use a "Blue Camo" Engineered Mesh upper, working together with hits of grey over the Swoosh logos and tongue Shozoku logos. Grey also covers the outsole sitting below to complete the look for this latest Kobe 8 by Nike Basketball. Stay tuned to Sole Collector for further details on the "Blue Camo" Nike KOBE 8 SYSTEM.